Sell Software Online and Watch Your Profits Skyrocketing! Have you created unique software with some useful and user friendly features? Then perhaps you already have thought about different ways to get money for it. Yes, indeed, you have BIG chances to make nice cash by selling software online. 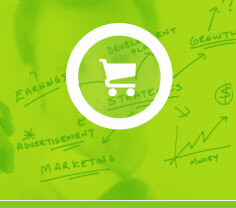 You just need to choose the right partners which could help you to sell software online. Finally you found Click2Sell – Innovative Affiliate Network, which will help you succeed and make your life easy! Just in few minutes from now you could be collecting payments for your own software. So how everything works at Click2Sell? How it can help you to sell software online? You add your software product to Click2Sell system and place a simple "Buy Now" button link on your website. From this moment you will be able to accept payments from your customers directly to your Paypal, Google Checkout, Skrill, WorldPay, Authorize.net or other vendor accounts. All the payments will be deposited instantly to your vendor account and you will have access to money immediately after each sale. After successful payment Click2Sell will instantly deliver your Software to the buyer. "Software Download Protection" will protect your software files from unauthorized user access. Download links will automatically expire after 72 hours. Plus, your software product will be listed on Click2Sell Online Marketplace, so many affiliates will be able to promote your product and increase your sales dramatically! The best thing is that you risk nothing – there are no registration or setup fees. What are you waiting for? Signup Now and start selling software online! How Click2Sell could help your online business even more? Click2Sell will work for you – we'll organize your sales, track visitors, manage affiliates and take care of payments. Sell software online and accept multiple payment options: PayPal, Skrill, Credit Cards from one account. Accept multicurrency payments: you can sell software in USD, EUR or GBP currencies. Be free to customize your software checkout pages. Track all aspects of your online business: visitors on your website, number of sales, conversion rates for different software products, websites referring visitors and sales, even keywords that convert visitors into buyers. API notifications: whether you want to collect customer's information into your databases or just generate software licence codes with your programs – we will send all transaction information to the specified url via Click2Sell API. And that's not all… We have listed for you 86 reasons to choose Click2Sell to sell software online. The right system is a must when you want to run your online business successfully. We stronly believe that our dedication to help you will make your business even more successful. If you have any questions or suggestions, please, do not hesitate to contact Support team. We are here to help you and make your software business successful! Join Click2Sell Now and see how easy it can be to sell software online!